Before installing bamboo flooring, watch an installing bamboo flooring video; you may decide to hire a professional for installing your bamboo floor. There are tricks for bamboo flooring installing that can make the job faster with better results. Installing bamboo floor over fir floor with no subfloor isn’t much different than installing over plywood or OSB subfloors. If installing floating bamboo floors over slab subfloor, take extra care so you have great results — or again, hire a professional. Bamboo flooring is beautiful and durable, and very much worth your consideration. Installing bamboo flooring isn’t hard, but hiring a professional is worth your consideration. Installing bamboo flooring over a wood sub-floor is no more difficult that installing other wood flooring, and many homeowners find self-installation to be a great way to save money. However, installation over concrete takes more skill and expertise, and may not be worth the money you’d save by installing it yourself. Before you begin the project, it’s important to assess your capability and motivation to do the job yourself. Once you’ve committed to installing your bamboo floor, make sure to order an additional 7-9 percent flooring to allow for waste and cuts. Also, carefully examine the bamboo flooring for consistent color, finish, quality, and damage before you begin. As with all projects, read and have a thorough understanding the manufacturer’s installation instructions, policies and warranties because the time spent in these early stages can greatly improve the quality of your finished product. The basic concepts for installing bamboo flooring are the same as for installing other hardwood flooring. The sub-floor must be flat, smooth, clean and preferably dry — especially if installing onto a concrete surface (and you probably should consider laying a vapor barrier between the sub-floor and bamboo. Most bamboo floors are not covered under warranty if installed in a bathroom, washroom, saunas, or other similar wet locations — but check with the manufacturer you want to choose to make sure. Remember, bamboo flooring is a natural product that will warp or swell with extended exposure to moisture, and shrink with extended exposure to heat. As with other hardwoods, bamboo flooring must be acclimated in the room where it will be installed for 24-72 hours to ensure it adapts properly to the temperature and humidity level of the room. If you live in an arid zone, it’s advisable to have the wood acclimate in the space it’s to be installed for even longer; you want the wood to be at about the same moisture content as the humidity level in the room. By laying the flooring prior to installation, you can ensure that the floor color and grain characteristics enhance the beauty of the finished floor. Being a natural product there will be variations, and the finished floor looks better if you intermix the light and dark pieces, as well as the slightly different grains. Follow the manufacturer’s installation instructions to protect your warranty. To avoid fracturing the flooring edge, use a tapping block to hit the bamboo, or a rubber-headed mallet. Never hit the bamboo flooring directly. Remove any base molding (aka baseboard or toe kick) and door thresholds before installation. Leave 1/4-1/2″ expansion space between walls, cabinets, etc. using plastic or wood spacers to accommodate expansion due to changes in moisture level. These spaces will be covered when base moldings are reinstalled. The wood sub-floor must be clean and free of all wax, grease, paint, etc. To ensure a smooth, even surface, sand the wood sub-flooring, and remove dust with vacuum and damp rag. If the floor isn’t level, sand down the high spots and fill in the low spots. 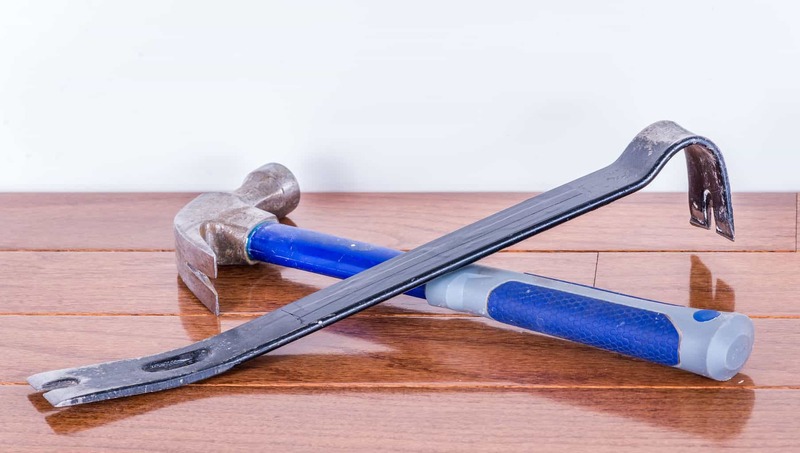 To eliminate squeaks, nail or screw the sub-flooring every six inches. This is well worth the effort because squeaking floors are a nuisance. As recommended by the manufacturer, add a moisture barrier. The cement must be clean and free of all oil, stains, dust and debris, and must have all cracks and holes filled with patching material. Do not install on concrete unless it will stay dry during all seasons. Using a moisture meter, check the moisture levels in both the concrete and bamboo flooring. The difference between the two must be less than 3 percent (or 3 lbs. per 1,000 square feet, using a calcium chloride test). Treat for moisture per the manufacturer’s recommendations. 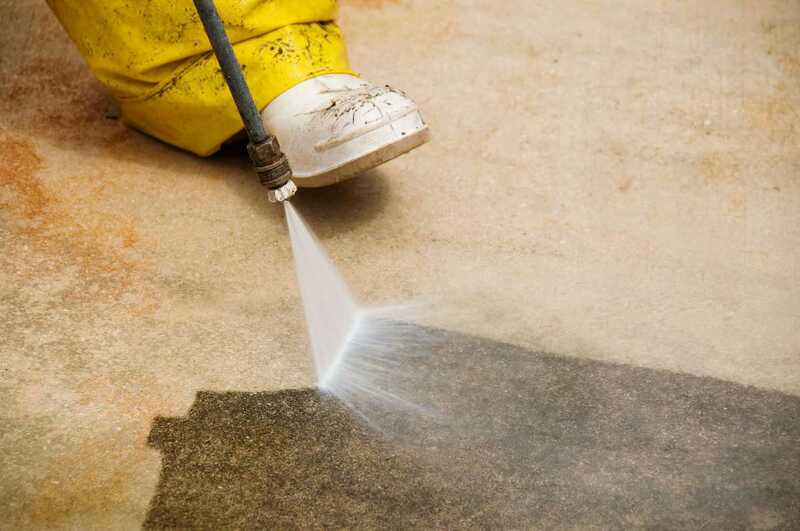 Make sure the vinyl is in good condition, clean, level and well bonded to the sub-floor. Once your sub-floor has been prepared, your working line can be established by measuring an equal distance (the width of the plank plus 1/4″ for expansion) from the wall at both ends. Once measured, snap a chalk line. 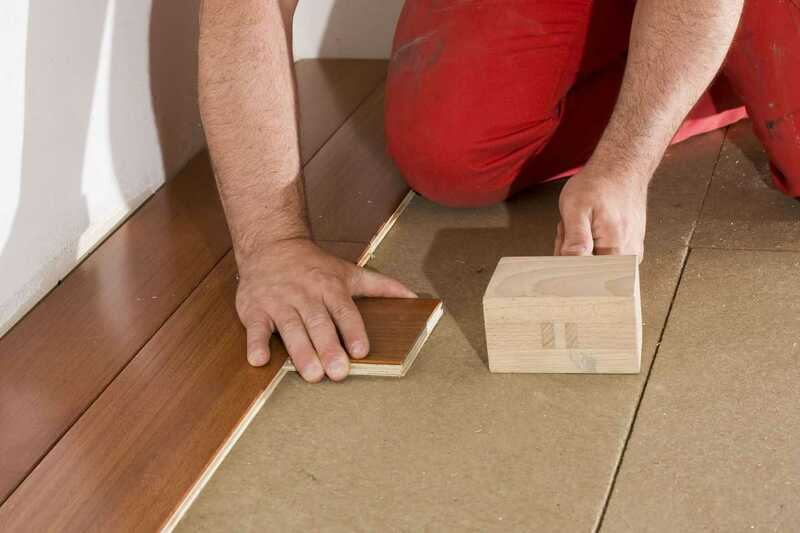 Confirm your working line by laying a few rows without glue or nails. The three primary methods for installing bamboo flooring include the nail-down method, the glue-down method, and the floating method. Typically, the nail-down method is used with wood sub-flooring, the glue-down method is used for concrete sub-flooring, and the floating method is used for radiant heat floors, though nail-down can also be used on radiant heat floors too. The use of each method depends upon the sub-flooring and the manufacturer’s recommendations. Regardless of the method you choose, it is vital to follow the manufacturer’s instructions because they vary from company to company, and variances from these instructions may void the warranty. Bamboo flooring can be purchased either pre-finished or unfinished. If you’ve installed unfinished flooring, sand the flooring using a floor sander as you would any other hardwood surface. After sanding the floor with a coarse grit, repeat with a medium grit and finish with a fine grit paper. Directly after sanding, apply the first coat of finish to avoid moisture absorption. Apply additional coats as recommended by the manufacturer, and as needed for traffic. Pre-finished flooring is ready to use immediately. Why should you opt for bamboo flooring instead of more traditional options like oak? We like bamboo because it's environmentally friendly, quick to grow and adds an attractive contemporary look to your floor. It's also durable enough to last for a long time as long as it's installed correctly. 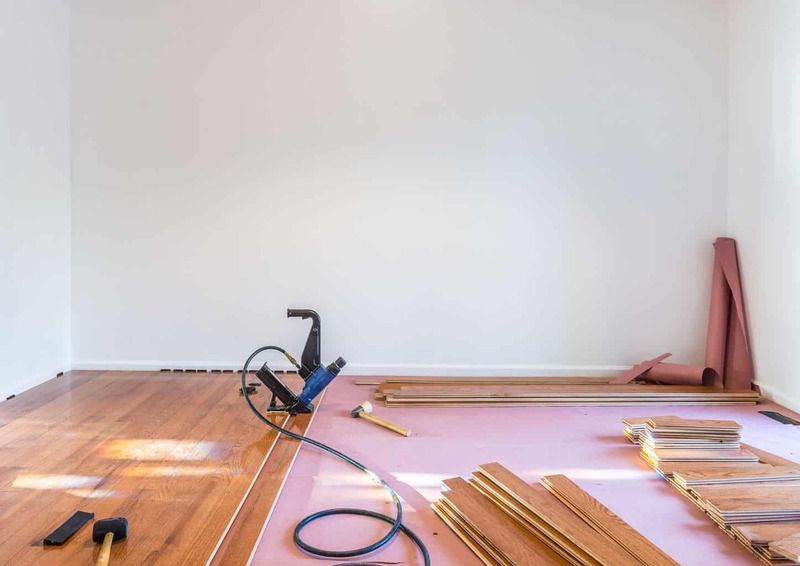 Bamboo flooring installation isn't necessarily as easy as it sounds – just laying down flooring – simply because a good-looking floor should run perfectly parallel to your walls and improper installation can actually reduce its durability. Most people prefer to hire a professional for exactly this reason. However, it usually takes less than a day and you'd be surprised by how much a better-looking floor can improve the overall appearance of a room. If you decide to do it yourself, it's usually cheaper but you also should make sure to do it right the first time so that your bamboo flooring remains attractive for a long period of time. This is usually done by drawing out a reference line that runs parallel to either the exterior wall, which is usually the straightest, or the longest wall in the room and then laying down a batten board that's perfectly parallel to either the exterior wall or the longest wall in the room. This provides a reference guide to putting down the first few rows and will be removed once they're in place. Use an 18-inch nail driver to secure the shoulder of the first board. The nails should go in at an angle so they don't interfere with putting in subsequent boards. If a different type of flooring borders the new bamboo flooring installation, leave a one-inch gap between the existing flooring and the new. This leaves room for a transition strip and avoids damage to existing flooring. 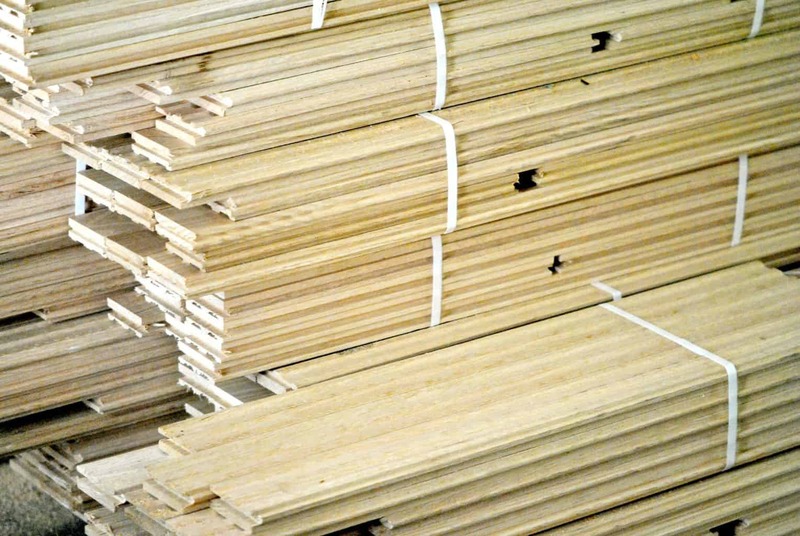 Before you start with the next row of planks, make sure everything is straight and lined up with the batten board. The next row should start with a shorter segment of wood to stagger the seams. This reduces wear and tear on the ends of the wood planks so your floor lasts longer. Make sure the seams are lined up straight as you add the new rows. Once you're sure everything is going in perfectly straight and parallel with the walls, remove the batten board. The spline you add in its place should be twice the width and the same height as the tongues of the wood planks you've been adding. Put a small amount of glue in the groove of the plank that is nailed to the floor and gently tap the spine into place. Now that you have most of the flooring added, you may notice that there's a gap that isn't wide enough for a full-width plank. This is where you'll want to cut back remaining planks to the required width and use a pry bar to position the planks. Add finish nails to the face of the board near the wall and use molding to cover the nail heads. Actually, it's usually easier to inspect the work at each step in the process because you can still correct mistakes before the work is completed. Every row should go in perfectly straight. If you're close to the end and things don't seem to be quite right, look for where you might have gone wrong even if it means taking up a few rows and reapplying them in a straighter fashion. Your bamboo floor installation looks perfect now, but you still want to care for it properly to make sure it lasts. If liquid is spilled on it, the spill should be dried with a dry towel before it has a chance to soak in. When you mop, you should use a cleaner that is designed specifically for wood floors and the mop should only be lightly dampened. Floor protectors should be placed under the legs of heavy furniture to protect the floor and keep the furniture from sliding. If you must move furniture, get help with the heavy lifting so you don't have to slide furniture across the floor. Remove shoes or wipe your feet before walking on the floor when you come in from outside. If you wear high heels, avoid walking on the floor if possible to avoid damage to the floor caused by the heels. I plan on installing bamboo flooring, my sub-floor is MDF. Would you recommend nailing or glueing? I do mention that in the article. Take a look as there are several other tips that are a must-read for installation as well! Does anyone have any suggestions for getting the glue smudges off of bamboo flooring after it is installed? You can try using a vinegar/water mixture and see if that takes care of it. If it doesn’t, then it’s time for a delicate operation — cleaning up the glue. With great care, gently dab mineral spirits onto the glue until it comes up. Be careful to not get too much on the flooring surface so you don’t damage the finish. Be sure to wash the spots with clear water when you are done to remove all remnants of the mineral spirits. I’ve also heard of a more unconventional approach for adhesive residue – don’t know if it works on other problems, like those from body oil, etc. Use a small amount of “Goo Gone” and “Bon Ami” on a paper towel and gently rub with the grain over any traces of adhesive. Quickly wipe off the mixture with a slightly damp towel and then thoroughly dry. Bon Ami is a mild abrasive that mixed with the Goo gone is just enough to do the trick. You may notice a slightly less shiny appearance after using this, however it is not enough that anyone but you would notice. Certainly much better than the smudged adhesive look. If the glue was latex based, you might try using a SOS pad – not the steel wool ones, but the kind made of plastic fibers. There’s two kinds, the kind for tougher scrubbing and delicate. Use the delicate. Sometimes this works. Don’t scrub hard though and be sure to take a damp rag to clean up afterwards or microfiber cloth. You can also use a dry microfiber cloth to kind of ‘buff’ it afterwards. You can also call the manufacturer – I’m sure they’ve heard of this numerous times and can also make recommendations. We’re having bamboo professionally installed in our home (2200 sqft). Morning Star Bamboo Dark Silk Road in the Master, Horizontal Natural in the other bedrooms and the Tiger Strand in the high traffic areas downstairs. It’s all beautiful and easy to maintain so far. However, in the Tiger Strand we can see ‘dimples’ where each nail is. Our installer has not seen this before and has installed strand but not the this brand. Does anyone else have this and how did you take care of this? Any help would be greatly appreciated as we are on hold to installing anymore Tiger Strand. Hi. No, I don’t have experience with that product. If you have hired a professional to install the floor, and they have not seen that happen before, I would contact the manufacturer and explain it to them. They may be able to let you know what would have caused this problem. I am considering bamboo flooring for my kitchen that currently has vinyl tile. I am thinking of floating the floor for quicker installation. Is this recommended or should I go with a more traditional method of gluing or nailing? We have a golden retriever that has scratched up our vinyl and I need a strong floor to replace in the kitchen. I’ve read that bamboo is a great floor for pets, do you agree? Bamboo is a strong type of wood flooring to use, and may be better than other choices for a home with pets. Floating the floor for quicker installation is fine, just be sure to check the manufacturer’s suggestions for your warranty protection. 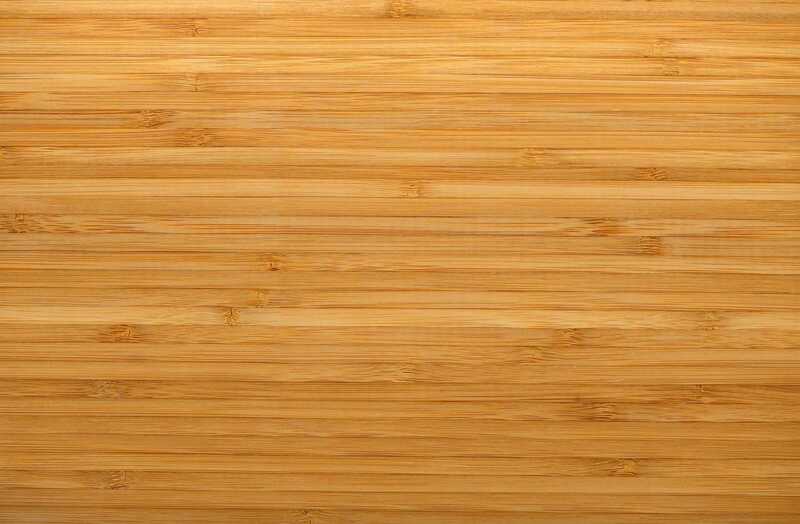 Another article you may be interested in reading is Bamboo Flooring. I am planning to install Cali Bamboo hybrid flooring in our bedroom, which has a plywood sub-floor, and am trying to decide whether to use the nail down method or the floating T&G method. In particular, I am leaning towards the floating T&G method because it looks easier and would not require the rental or purchase of a compressor and nail gun. However, you have indicated above that the floating T&G method is generally used for radiant heat floors and that the nail down method is generally used for plywood sub-floors, so I am wondering if there is a reason why I should go with the nail down method rather than the floating T&G method. The real reason why most choose to do a nail down installation with a plywood subfloor is because this installation will guarantee the most solid application of the flooring to the subfloor. Nailing to the subfloor will reduce shifting from changes in humidity or just regular use of the flooring. If you happen to be in an area where there is very little humidity and very very little change in the humidity levels throughout the year, then maybe the floating T&G method will work for you, but I would lean towards nail down over floating. However, as far as the nail down method is concerned, you will really see the strength of your bamboo when you try this. It can be very difficult to get nails through bamboo. I know this is not one of the methods you were considering, but I would suggest considering gluing down the flooring to the plywood instead. This is the method always used for concrete, but can also be used for plywood if desired. Also, keep in mind that if there are any permanent objects in the bedroom where you are installing the floor (like a fireplace, pipes or columns), that you do not want to use the floating T&G method! This could result in your beautiful floors buckling. Please reach back out and let me know how it goes and which method you choose! I hope you love your new bamboo flooring!